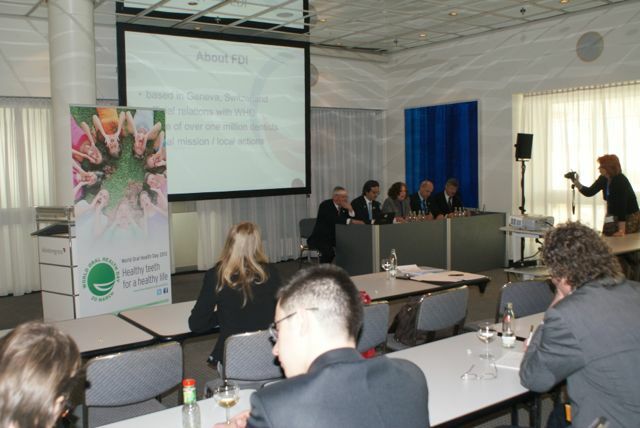 According to the organisation, the 35th International Dental Show (IDS) posted record-setting results when it closed on Saturday, 16th March 2013, after five days in Cologne. 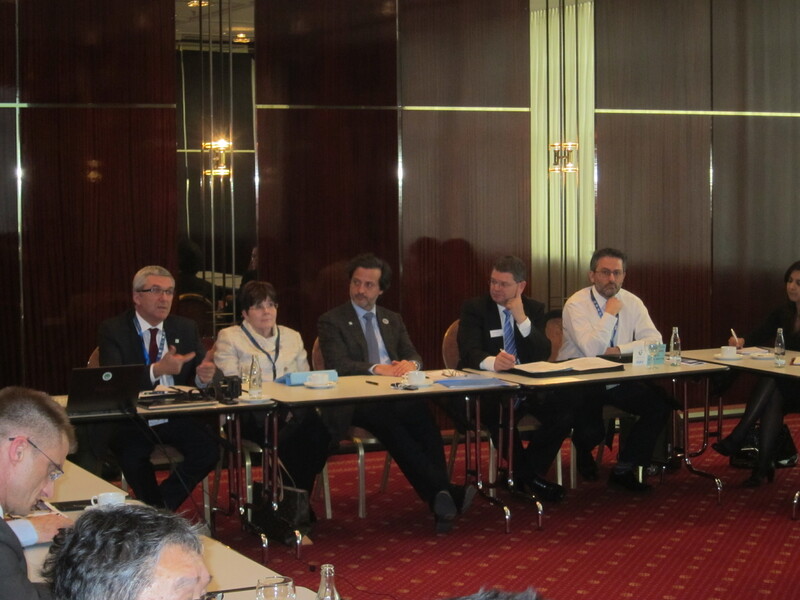 We took the chance to hold several meetings promoting the FDI. 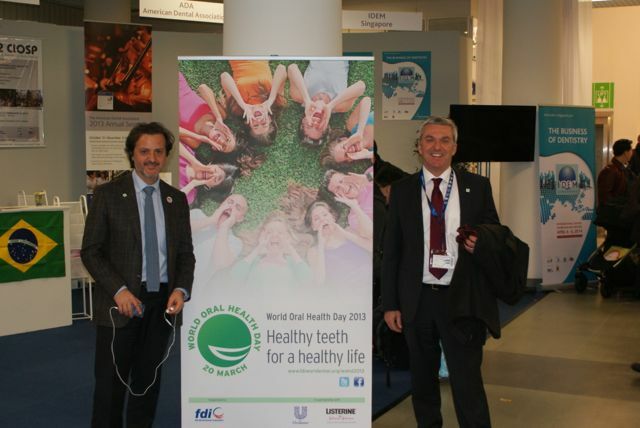 With Jean-Luc Eiselé, FDI executive director, promoting the World Oral Health Day 2013, “Healthy Teeth for a Healthy Life”. Meeting with industry leaders and stakeholders. 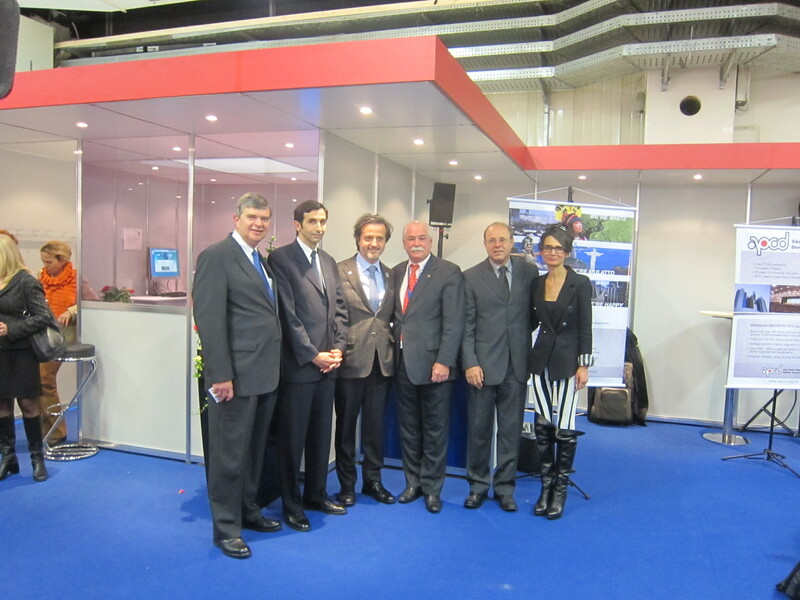 Reception of CIOSP 2014 São Paulo International Dental Meeting, with ABCD president, Silvio Jorge Cecchetto; president of CIOSP 2014, Wilson Chediek, and others. 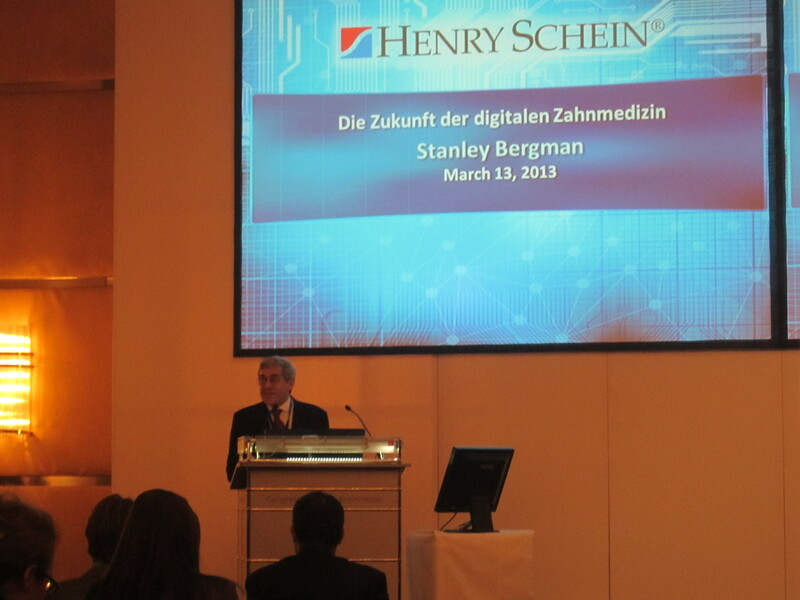 Stanley Bergman, CEO of Henry Schein, speaking about “The Future of Digital Dentistry”. 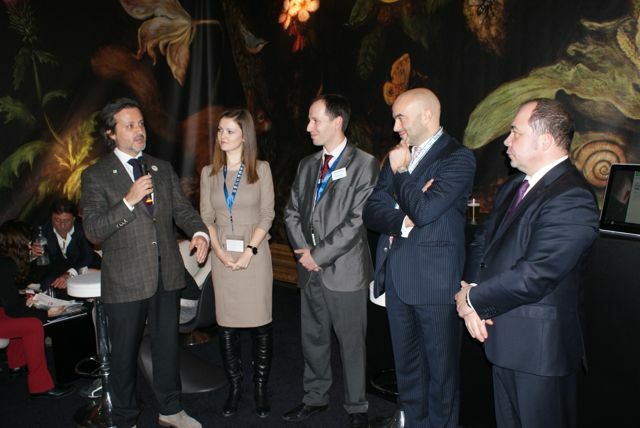 International Dental Tribune reception/Dental Expo Moscow Expo. From left to right, Ekaterina Pikulina (International Marketing and Sales Manager at DentalExpo Russia), Ilya Brodeskiy (DentalExpo general director), Torsten Oemus (publisher of Dental Tribune International), Vladimir Sadovski (president of Russian Dental Association). Press conference. “World Oral Health Day reminds us that we are experiencing a real crisis in oral health today in industrialised and in developing countries. Oral disease is a global phenomenon affecting most adults and as many as 90 per cent of the world’s schoolchildren. Caries, periodontitis and oral cancer are among the most expensive diseases to treat but also among the most preventable”. India evening. 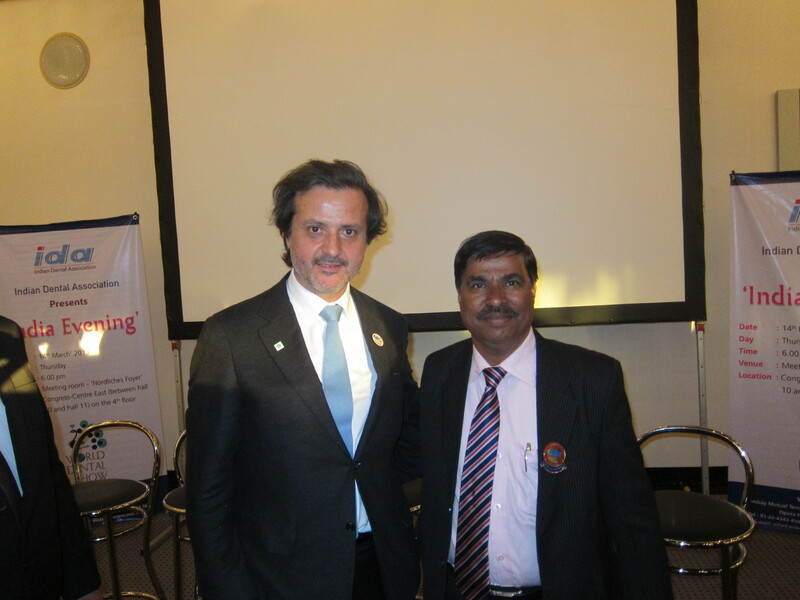 With Ashok D Dhoble, Indian Dental Association Hononary Secretary General. 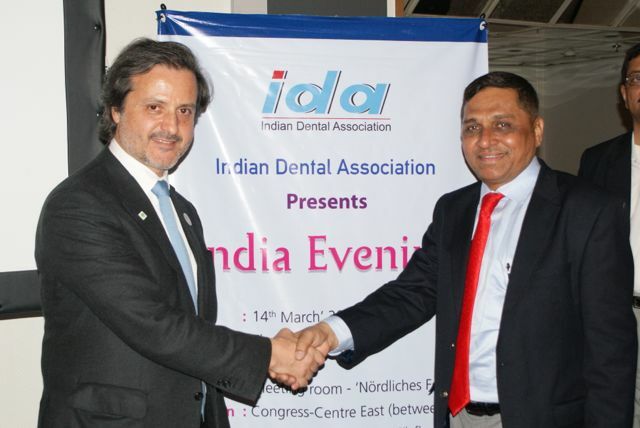 Pramod Y. Gurav, president of the Indian Dental Association. 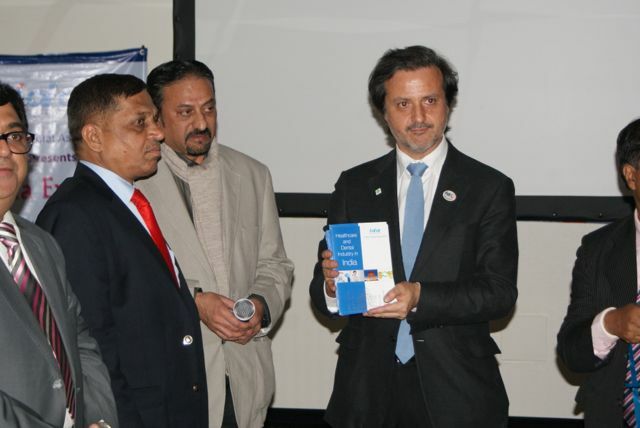 Presentation of the brochure from Indian Dental Association “Healthcare and Dental Industry in India”. In India, the oral care infrastructure had 1,80,000 dentists as of 2012, serving over one billion population through their clinics numbering over 1,25,000. As far as the overall ratio of dentists to population is concerned, there was a market improvement. There are around 297 dental schools with 25,000 students graduating each year, about 140 of such schools have post graduate courses in various fields of dentistry. 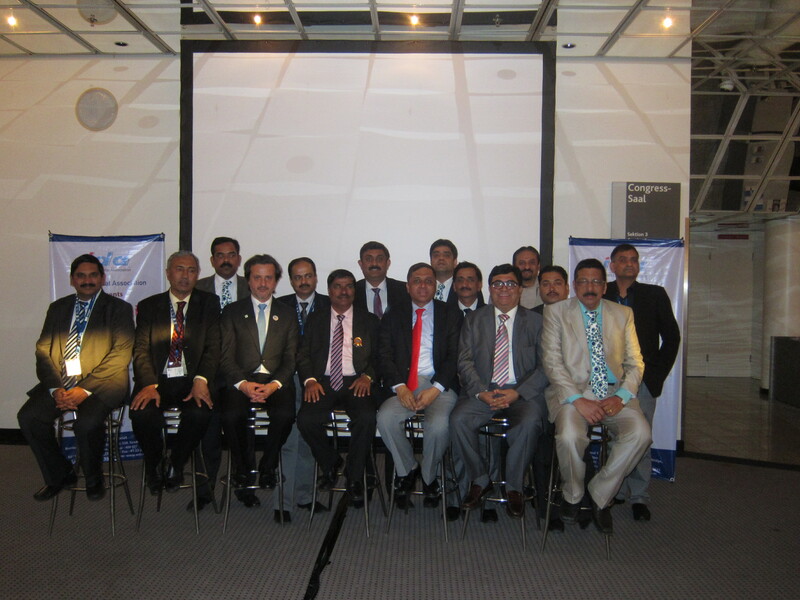 Group photo with Indian Dental Association leaders. This entry was posted on Friday, March 15th, 2013 at 14:55 and is filed under English, Germany, India. You can follow any responses to this entry through the RSS 2.0 feed. Both comments and pings are currently closed.